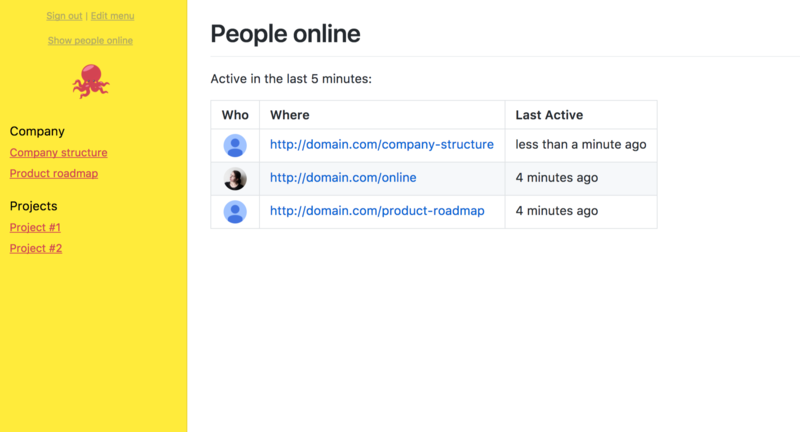 With LiveChat constantly sprouting new products, project and ideas we felt it’s time to group everything we have in one place. 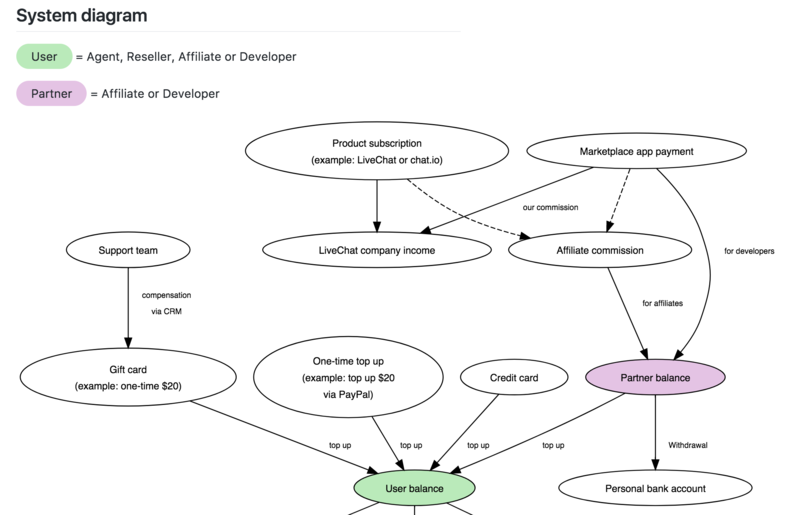 We wanted to describe the LiveChat internal systems and to illustrate the dependencies, but we couldn’t find a user-friendly software with editable diagrams that also non-technical people could use. This is how Octopus came into life. 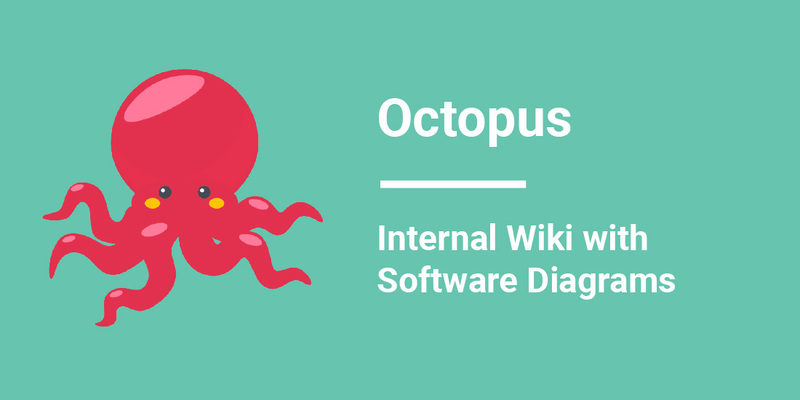 Octopus is a tool for creating server-less wiki pages. 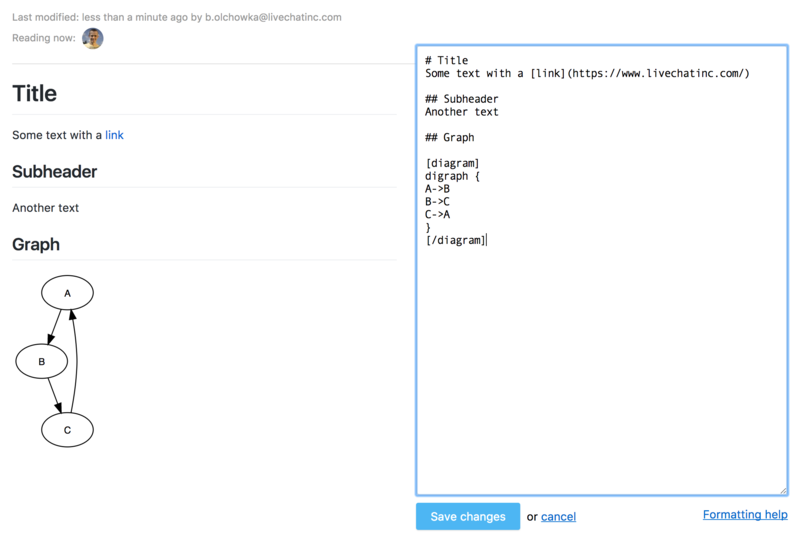 It supports Graphviz diagrams and uses Markdown for writing content. The tool can be used to build software documentation or internal wikis. With the option to create elaborate diagrams it’s a great tool to present complex systems and applications. We just wanted to reach out to you guys, saying that **we just LOVE this project**. By a huge coincidence, a day before this release we decided to put a wiki in our organization. I struggled finding the right choice, and **this was just the best out there**. 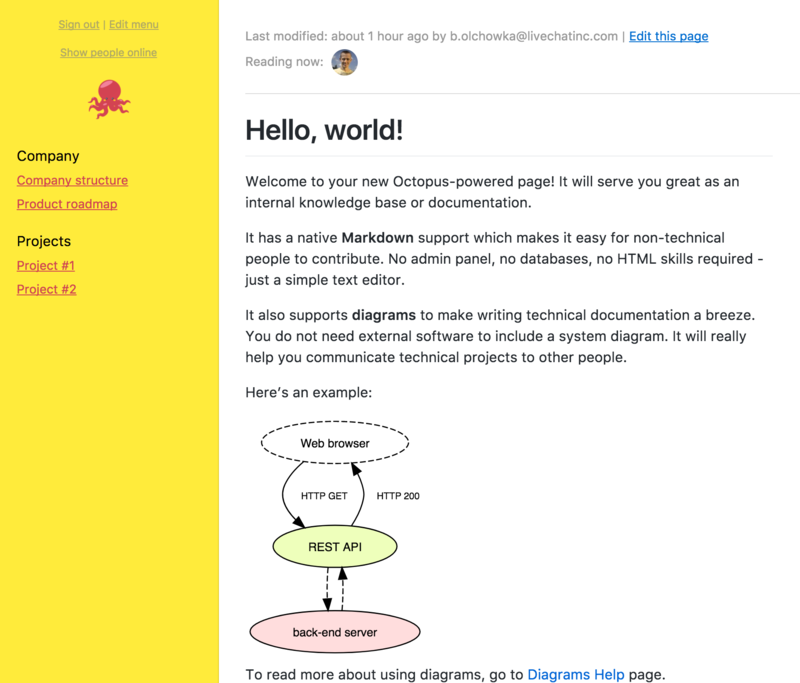 Octopus is a JAMstack app powered by Google Firebase. There is no web server (e.g. Apache) nor a database (e.g. MySQL) necessary. The app can be deployed to a CDN for free with Netlify.